Fascia boards are the wooden or plastic boards behind the gutters under the eaves, or on the gable ends. Soffits are any surface which presents its lower side to the environment, such as a ceiling, but for the purpose of this blog I’ll refer only to those under the eaves. Fascias in particular can get a lot of weathering, especially if the gutter leaks or overflows on them, and on south or west facing (windward) sides. Key places to look are therefore anywhere showing algae and staining from rainwater and behind the downpipe. Corners are also susceptible where timbers join, and the bottom of a gable end fascia board where water drains and can soak in. If you don’t have a ladder you probably can’t do the ‘key test’ mentioned in the windows blog (gently dig a key into the wood to see if it’s soft inside). But a localised patch of very cracked paintwork could indicate trouble. Fascia boards aren’t particularly costly to replace or mend off a ladder, less than a day’s work + materials for the odd repair, maybe £150. But my preferred solution is to cover wood with plastic sheathing, which might take a day plus materials (fascias and soffits) for a mid-terrace. Perhaps £200 – £250. It can be a LOT more costly if it’s too high or inaccessible for this and you need scaffolding. Most fascia boards fit an inch or two underneath the roof, which is sensible. Some particularly troublesome ones on older buildings fit to the outer edge of the roof, with another board fitting on the top edge. These are inaccessible so poor maintainance is inevitable, leading to the board rotting. These are best covered or replaced with plastic fascia, with a special joint between lengths, or overlapping, to prevent water getting into the joints. It’s not a big job, perhaps £150 – £200, if scaffolding isn’t required, but due to the height it often is. If fascias are very rotten the ends or sides of the rafters may also be affected, requiring more repairs. Eaves rafters can often be spliced. Gable end rafters will probably need replacement, but this isn’t usually hard as they are accessible on the outside of the building. This might only cost £150 or might run to over £1,000 depending how severe the damage is. Check soffits on the outside corners of the building. 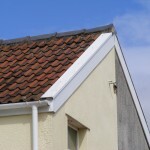 Water leaking or splashing over the gutter, and fascias letting in water at the corners are common causes or rot here. 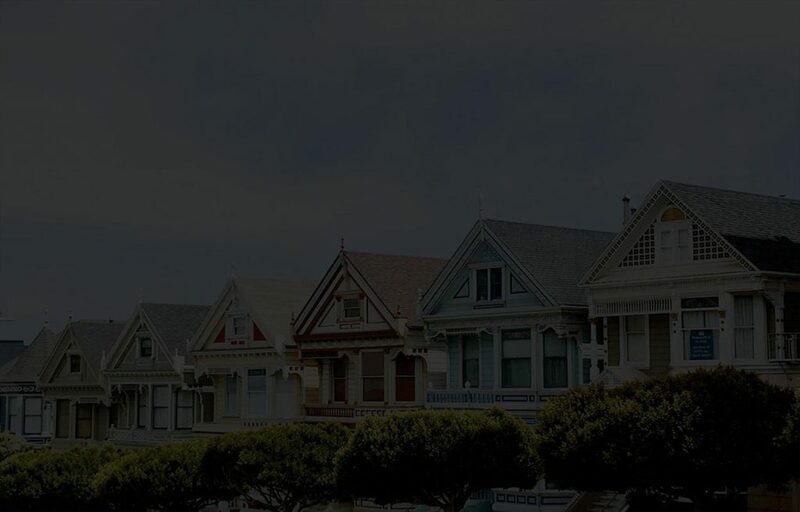 Roofs leaking and sarking (roofing felt) stopping short of the gutter and emptying water into the eaves space is also common on older buildings. Birds like to nest inside the eaves and old nests can hold moisture and exacerbate the problem. Again soffits are not usually a big job to repair or replace, so long as scaffolding isn’t needed, see fascias above. I’ll discuss ceilings next week.